Last year there was a lot of media attention in the midst of the season dedicated to the flu vaccine being only 3% effective. It made for some good headlines, and even led one journalist to quip ‘seasonal flu vaccine slightly more effective than rice pudding’. Unfortunately a lot of the coverage didn't highlight that this figure was a mid-season estimate, with a wide range of uncertainty. At the end of the season, following a more robust analysis using all the data available over the winter period, we found the true figure was in fact 34%, leading to this very insightful piece from Newsnight’s Chris Cook. I’ve blogged about how vaccines are put together each year and the challenge of drift in more detail before. We also publish a weekly flu report through the season that outlines the latest situation with flu – how much activity is happening, what the main circulating strains are and how the annual flu vaccine programme is rolling out. On face value, 34% doesn’t sound particularly encouraging and I can understand the coverage of last week’s ONS death figures for 2015 which linked increases in mortality to issues with the flu vaccine. However, it’s important to be aware of the complete picture. The ONS data says early analysis shows the largest rise in the number of deaths in England and Wales since 1967/68 was a result of an increase in dementia and Alzheimer’s related deaths and respiratory diseases (including flu) among older people. What role did flu play? Because the population is ageing flu can significantly affect the total number of deaths in a particular year. 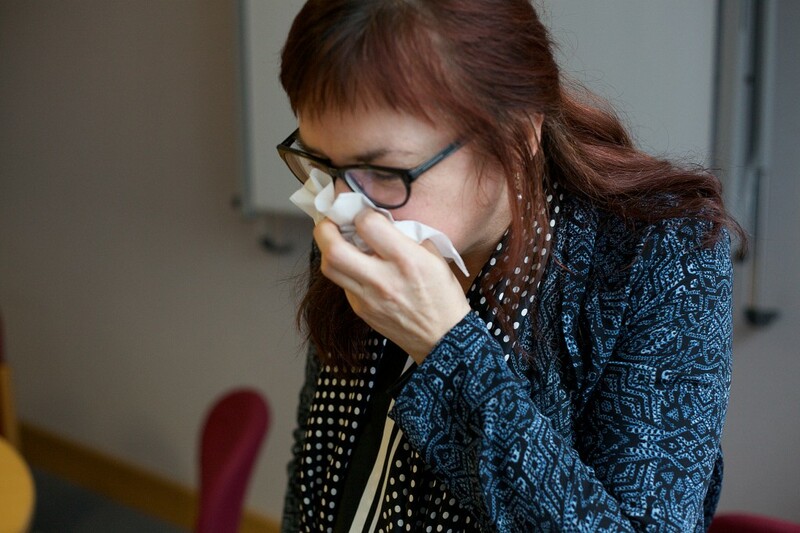 We’re planning a full analysis to be published in mid-year, but we do know the type of flu that dominated in 2014/15 is called A(H3N2), and in any flu season dominated by an H3 subtype, unfortunately we can expect the burden of illness to be seen particularly in the elderly. This is apparent with outbreaks of flu in care home settings, increases in hospitalisations and unfortunately increases in deaths in the elderly. This can occur when A(H3N2) circulates even in a season where the vaccine is well matched to the circulating strains if activity is intense. Sadly flu can have a big impact on older people, especially on those who are most vulnerable or experiencing other illnesses, such as dementia. This is why it’s important for these groups to have a flu vaccine each year. For most people influenza infection is just a nasty experience, but for some it can lead to illnesses that are more serious, including bronchitis and secondary bacterial pneumonia, which can be life threatening. An increase in deaths in the elderly will generally lead to a decrease in life expectancy that year, as shown in the provisional life expectancy figures for 2015. However, it is important to remember we have seen annual fluctuations in life expectancy before and the overall trend has remained positive. The other key point when thinking about flu vaccine and mortality is that even with a reduced overall effectiveness, the vaccine still provides more protection than no vaccine at all. At 34% effectiveness, having the vaccine reduces the risk of flu by about a third compared to not having the vaccine. Applied on a population level, if every “at risk” person received the flu vaccine, the risk of flu infection and in turn mortality, would have been greatly reduced. When it comes to a virus like influenza, people in risk groups need all the protection they can get. That’s part of the reason we have implemented a new childhood flu vaccination programme. This season GPs offered flu vaccines to children aged 2 to 4 years, and in the majority of areas in England it was also made available to children in school years 1 and 2. Unlike adults, children receive their flu vaccine via a nasal spray, which is quick, effective and painless. A pilot programme the previous season showed vaccinating school age children had dual benefit: as well as protecting them from flu, it also protects others in their local communities, as children are ‘super spreaders’ and are more likely to infect others. The word influenza comes from the Latin influentia, with some suggesting this in turn was derived from the phrase ‘influence of the stars’. I can’t predict what flu will do next unfortunately, but I do know with certainty that flu vaccine remains the best protection that we have against an unpredictable virus which can cause severe illness and deaths each year.